ArcWatch | Navy 911: Where Is Your Emergency? By Amy Hrdlicka, GISi, and Marvin Garland, Serco Inc. This is being accomplished at 300 Navy sites in the continental United States through the Navy Emergency Management Addressing Project (NEMAP). NEMAP incorporates standardized geospatial addressing for facilities and routable street centerlines into dispatch systems at the Navy's Regional Dispatch Centers (RDCs). "Navy base and facilities street addressing is a huge undertaking given the number of Navy properties across the country," said Sanovia Peterson, NEMAP project execution coordinator, Naval Facilities and Engineering Command's Anti-Terrorism Force Protection. "NEMAP and NERMS are laying the groundwork for the Navy's transition to the next generation of 911." When 911 calls are placed within a military installation, the caller hears the question, "What is the location of your emergency?" Call takers need to glean the location of the incident from both the building number and the name of the road or roads. Most military installations lack street addresses like those in a city and do not support geospatially enabled enhanced 911 systems such as those local governments use. Effective and rapid 911 emergency response relies on industry-standard routing and addressing procedures. 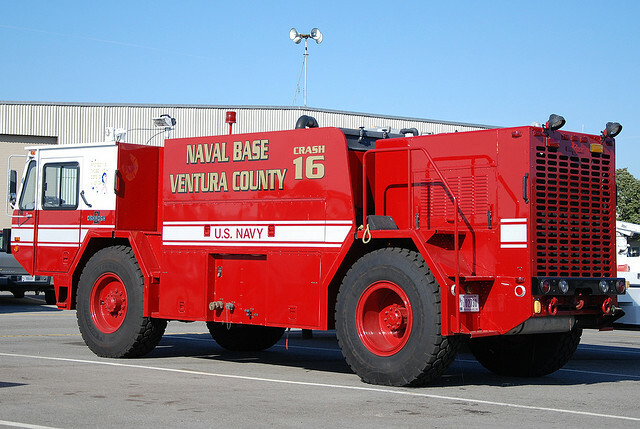 Most civilian agencies have these procedures in place, along with a GIS-based 911 addressing capability, making it important for the Navy to adopt their guidelines and incorporate them into its 911 system. NEMAP was funded through the Navy's Anti-Terrorism Force Protection program and administered by the Naval Warfare Systems Command (SPAWAR) Systems Center Pacific (SSC Pacific). SSC Pacific issued a competitive contract to establish National Emergency Number Association (NENA) and 911-compliant base addressing for Navy bases within the continental United States. The contract was awarded to Serco Inc. with GISi as a location technology partner. Together, they developed the critical addressing data to integrate into NERMS. Designing the process and technology for a standardized addressing system was not easy. GIS data that contains thousands of address points and street centerlines for more than 65 Navy commands and 300 sites needed to be developed and processed. The NEMAP team chose Esri's ArcGIS platform because it provided an ideal environment for developing agile and scalable data that could be easily integrated and expanded into E-NERMS. 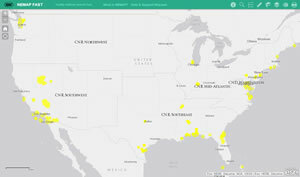 Esri's ArcGIS platform provided a strong framework to manage, store, and edit the address data; and the team added on tools as the project progressed and automation became necessary. ArcGIS Data Reviewer, an ArcGIS extension, provided the early quality assurance/quality control (QA/QC) reports and was also used to ensure topologically correct street centerlines. GeoComm's GeoLynx DMS software, because of its intuitive user interface and automation capabilities, was also employed to increase productivity and provide an added level of data integrity with its QA/QC reports. NEMAP's centerline and address point data were patterned after Esri's ArcGIS for State and Local Government's Emergency Response model. This was the best approach since much of the addressing guidance and direction would come from local governments. NEMAP data had to integrate easily into local government GIS and response systems across the country, both initially and for future data updates. Using this Esri data model, the team was assured that the data would be 911-compliant according to NENA and the Federal Geographic Data Committee (FGDC). The data also would meet basic E-NERMS requirements. The NEMAP team took the Navy's structure/facility data and built on it. Each installation was analyzed. Then unnamed roads and special areas such as restricted areas, special storage, and fenced in facilities were identified. The team verified questionable areas, established addressing, and worked with authorities and stakeholders to create an addressing plan that would ensure streamlined data into the local Master Street Address Guide (MSAG). 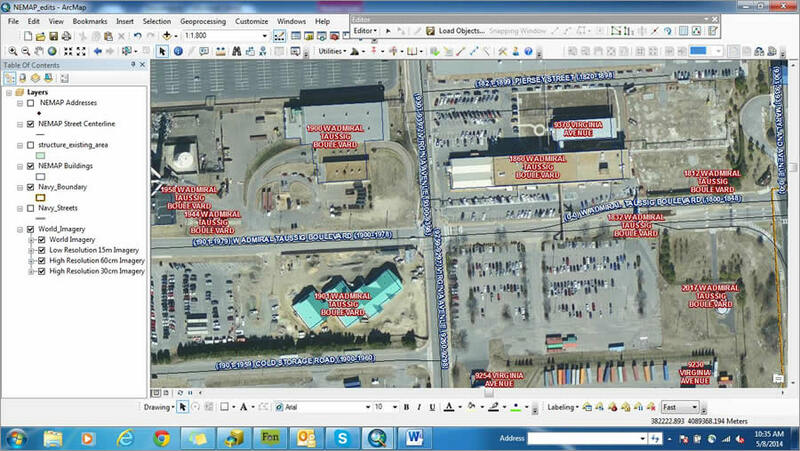 NEMAP's GIS analysts created centerline ranges by assigning a set of values for the left and right sides of the road. Local governments approve the ranges to ensure they work within the local government response systems. 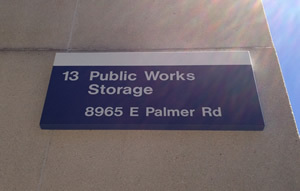 After that, addresses can be assigned to all buildings and structures. Once addressing is complete, local government and the Navy will have a set of topologically correct street centerlines with 911-compliant ranges and addresses for every place on base. 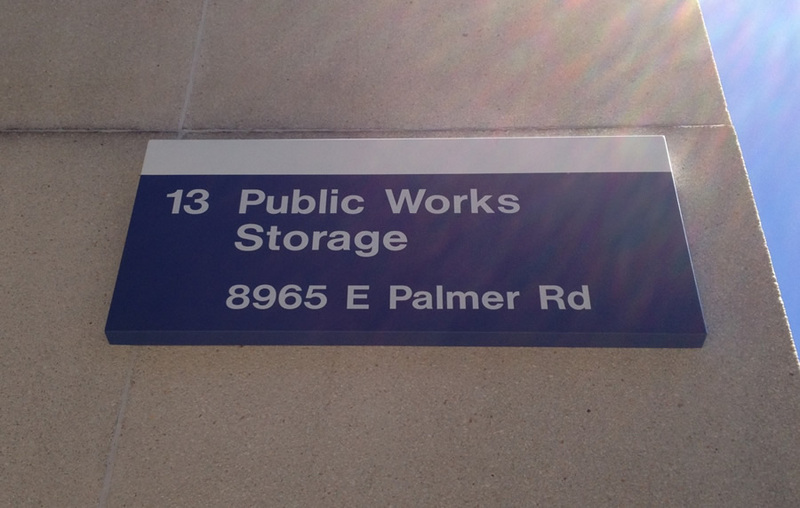 Assigning new addresses will often open a large can of worms. Installations will need to change building numbers, street signs, mailing addresses, and most public relations materials. Input needs to come from Navy stakeholders such as real property; GeoReadiness; housing; naval supply, public works; safety; and in some cases, even the installation's commanding officer. 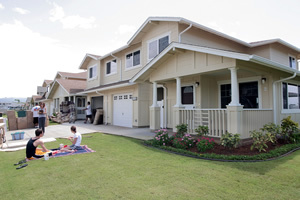 Established addressing—The NEMAP golden rule was to have the least impact possible on people who work and live on base as long as the addresses were 911 compliant. Strong efforts were made to preserve established addresses, especially at family housing, publicly accessible facilities, and the commanding officer's building. Using ArcGIS Online, the NEMAP team built a collaboration site to overcome the challenges. The NEMAP Workspace is a place where local government authorities and any Navy stakeholders who conduct reviews can access and view interactive maps of their areas of interest or responsibility. The team generated "Review Maps" for the local government and Navy to collaborate on in a central location. Map Notes are used to highlight areas of interest or concern by placing both text and graphic elements on the map. As data is completed and stored, it's published to the Facility Address Search Tool (NEMAP FAST) and is available for all long-term NEMAP stakeholders who need a quick reference for an address. The NEMAP Workspace is an invaluable resource for collaborative review, as participants need little to no prior knowledge of GIS to navigate the maps and website. Navy RDC dispatchers will not have to rely solely on asking "What is the location of your emergency?" They will be able to see the location of the emergency on their computers or mobile devices as the call comes in.